A final trio of stage stars have been announced as celebrity participants at the 2018 edition of Broadway Barks, set to be held on July 14 in New York's Shubert Alley from 3:00pm-6:30pm. Barks co-founder Bernadette Peters will host the festivities alongside her Hello, Dolly! co-star Victor Garber. 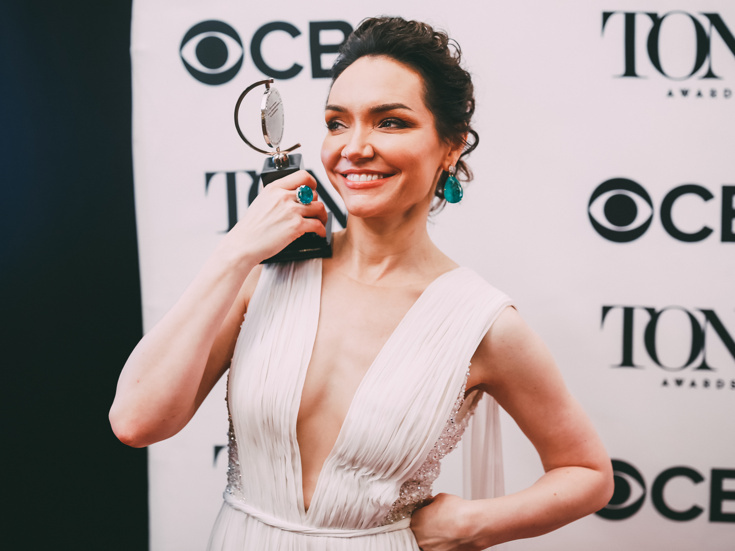 Newly announced stars include Tony winner Katrina Lenk (The Band's Visit), Storm Lever (Summer: The Donna Summer Musical) and Aaron De Jesus (Jersey Boys). They join a previously announced lineup of 80 stars who will help find homes for shelter pets from throughout New York City. Additionally, Broadway Barks has named the recipient of the first Mary Tyler Moore Award, given out to an individual or group who has changed the lives of homeless animals in a way that encourages others to do the same. The honor will go to the Brooklyn Animal Resource Coalition (BARC), a nonprofit, no-kill, privately run animal shelter located in Williamsburg, Brooklyn. BARC's mission is to provide a safe haven for abandoned animals and to find permanent loving homes for them. Over the last 20 years, more than 2,000 cats and dogs have taken part in the annual event. Approximately 85% of these furry friends have successfully found forever homes thanks to Broadway Barks.